Birmingham City University is hosting an event for Black, Asian and Minority (BAME) filmmakers in the West Midlands, which aims to improve diversity within the region’s creative industries. Back In has been organised by the University’s Birmingham School of Media in conjunction with creative agency Punch. 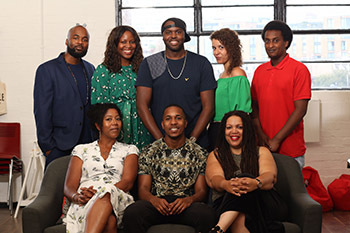 With BAME filmmakers under represented within their field, organisers are hoping to enable diverse talent to seek opportunities for a sustained career in the media industries. 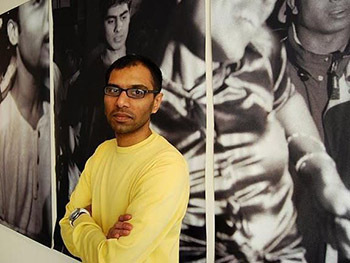 Taking place on Wednesday 5 December, the event will be hosted by Rajinder Dudrah, Professor of Cultural Studies and Creative Industries at Birmingham City University alongside filmmaker, director, and entrepreneur Daniel Alexander. The latter’s short film ‘We're From Birmingham’ was played at the closing ceremony of the 2018 Commonwealth Games in April, as part of the handover to Birmingham for 2022. The event will feature a panel discussion chaired by Michael Gubbins, Strategic Project Leader at West Midlands Screen Bureau, as well as ample networking opportunities. “Statistically speaking, the Black British filmmaker doesn't exist. The truth is this: across the UK there are thousands of BAME film graduates and self-taught independents running flat-out on a daily treadmill of low-budget music videos and no-budget YouTube promotions and short documentaries. We hope our event will help change perceptions and bring about change within our region by equipping talented BAME filmmakers with access to industry experts and an opportunity to have their original ideas commissioned on a much grander scale. Back In will also act as a springboard for an upcoming talent development programme run by Birmingham School of Media and Punch. Aiming to develop early career BAME filmmakers from Birmingham, the scheme helps participants expand their industry knowledge, build professional connections and tap into the city’s vibrant and diverse ecosystem. 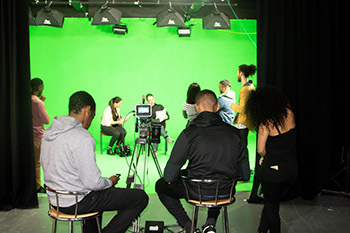 Punch have been running the Back In programme for the last two years and it is hoped that the University’s academic input and cutting edge facilities – including four TV studios and Europe’s largest static green screen – can enhance the participants’ career prospects further. “The Back In programme was originally designed to address the under representation of BAME filmmakers in the local industry. Through an intense six-month programme, we take six filmmakers from varying backgrounds and provide them with training, networking and commissioning to further assist them on their journey of making a career in film. The event on Wednesday 5 December will welcome back filmmakers from the most recent Back In programme to share their insights from the initiative, including Michael Ellis, Mohammed Mohammed, Lianne Moonraven, Sara Myers and Aaron Wiggins.